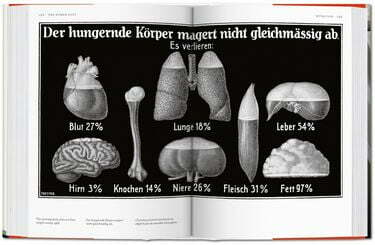 Fritz Kahn (1888-1968) was a German doctor, educator, popular science writer, and information graphics pioneer. 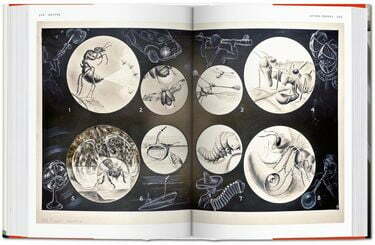 Chased out of Germany by the Nazis, who banned and burned his books, Kahn emigrated to Palestine, then France, and finally the United States to continue his life's work.In this revised Bibliotheca Universalis edition, TASCHEN celebrates Kahn as a creative genius, particularly adept at the visualization of complex scientific ideas. 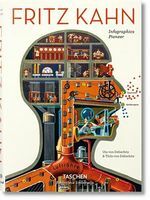 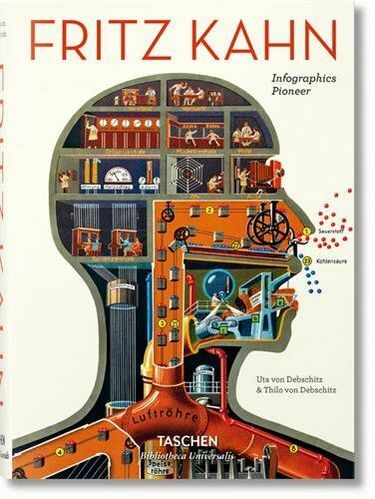 In such works as Man as Industrial Palace, we see how Kahn deployed vivid visual metaphors to demystify science and how his concepts have influenced generations of scientific illustrators, visual communications specialists, and infographic artists through to today.The book features more than 350 illustrations with extensive captions, three original texts by Fritz Kahn himself, a foreword by Steven Heller, and an essay about Kahn's life and oeuvre.